The increase in crime in San Pedro Town has left Central Government on high alert after two innocent citizens became victims of the “organized” shootings in the San Pedrito Area. Prime Minister Dean Barrow has now stepped in and implemented National Security measures to curb the high crime rate on the island. The people of San Pedrito, shocked and saddened by the events occurring these past weeks, have desperately sought out help from authorities. Well that help is finally in effect in the form of a special operation headed by Senior Superintendent Russell Blackett, which has seen increased police presence on the island. 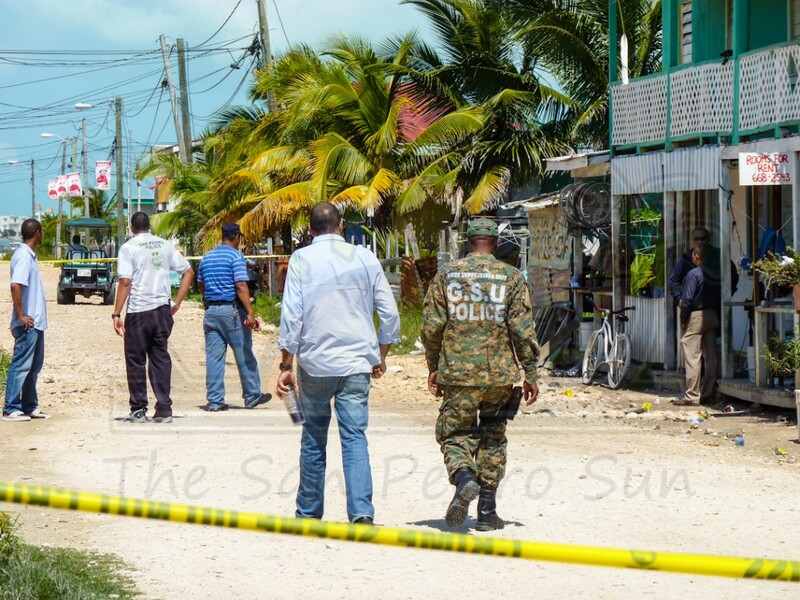 Barrow, who is also the head of Belize’s National Security Council, has stated that Belize City and San Pedro have become the two most violent areas in the country. What is more troublesome is that San Pedro is a mecca for Belize’s Tourism Industry and the recent increase in criminal activities are affecting the island’s reputation. He stated that if the trend in crime continues, it could be damaging to the industry. “We will be able to get a handle on [the] situation out there. San Pedro will also see more support coming from the Belize Coast Guard and the Belize Defense Force. I do not want San Pedro to be perceived internationally as unsafe. There is a bit of a drug war taking place in that area of the town [San Pedrito] and as a result, innocent bystanders, and especially innocent children, are becoming victims,” said Barrow. While the operation is ongoing, much more efforts will need to be put in place to rid the island of drug related crime. According to Chief Executive Officer of the Ministry of National Security George Lovell, the situation in San Pedrito triggered an immediate step-up of national security presence on the island. “It is sad and very unfortunate that we are experiencing this level of crime and violence in San Pedro and the country in general. But San Pedro is one of the areas that brings in great economic benefits, so we cannot afford to have this incident plaguing the island,” said Lovell. 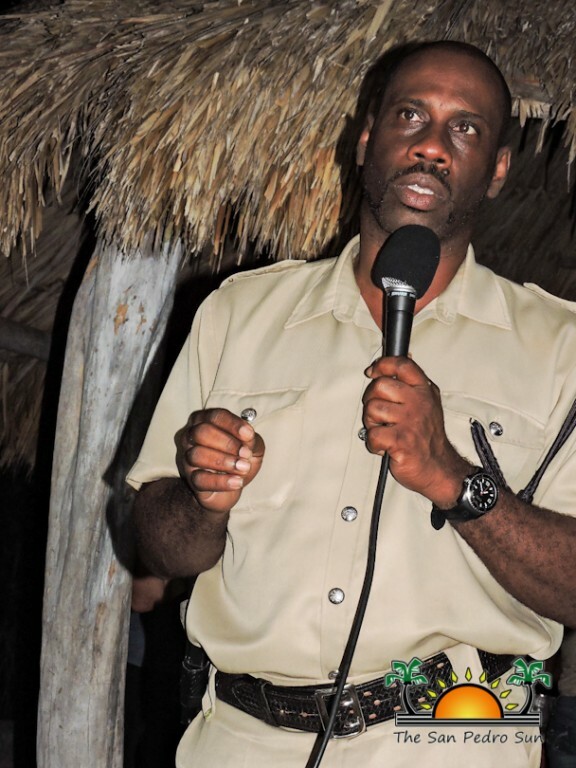 He stated that the Belize Police Department along with the Belize Defense Force and The Belize Coast will be working with local authorities to have a more permanent law enforcing body in the island to assist the San Pedro Police Department. “We need to have a sustainable security presence and operation so as to ensure that do not have [more of] the type of crime San Pedrito faces. A commitment has been made by the Prime Minister to provide all resources needed to assist law enforcement agent on the island,” said Lovell. The Prime Minister, who is also the Minister of Finance, has indicated that his ministry will provide additional vehicles, golf carts and other materials for greater policing of San Pedro Town. Lovell also took the time to indicate that the national security force in the island have the liberty to conduct searches on any person, but that they should do so without victimizing citizens. “I would like to ask that citizen be tolerant and patient when agents ask to conduct personal search, but this should not be a violent act. It is unacceptable that our police officers be victimizing citizens. They are here to ensure that the people operate in a safe environment and go about doing their activities without fear. They are being paid to look after our citizens. So if a case comes up, we ask persons to report it, because we have a zero tolerance for those situations,” said Lovell. Central Government believes that with these measures, the citizens and visitors will be able to reside in a safer environment. Police ask for the cooperation of all citizens in the fight against crime.